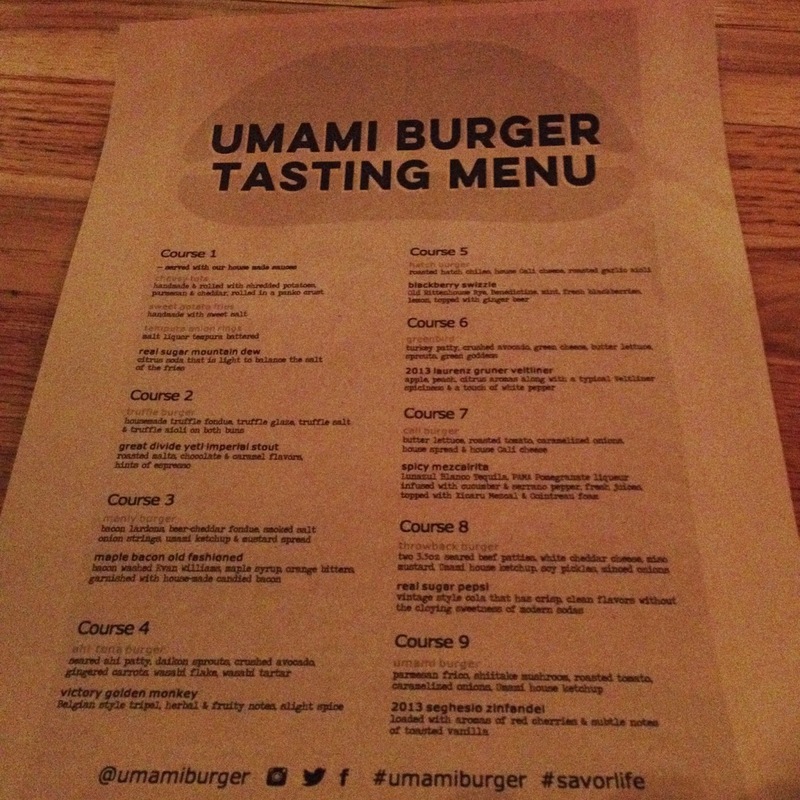 THE UNEMPLOYED EATER: I Am A Survivor of the Umami Burger Nine Course/Nine Drink Tasting Menu. 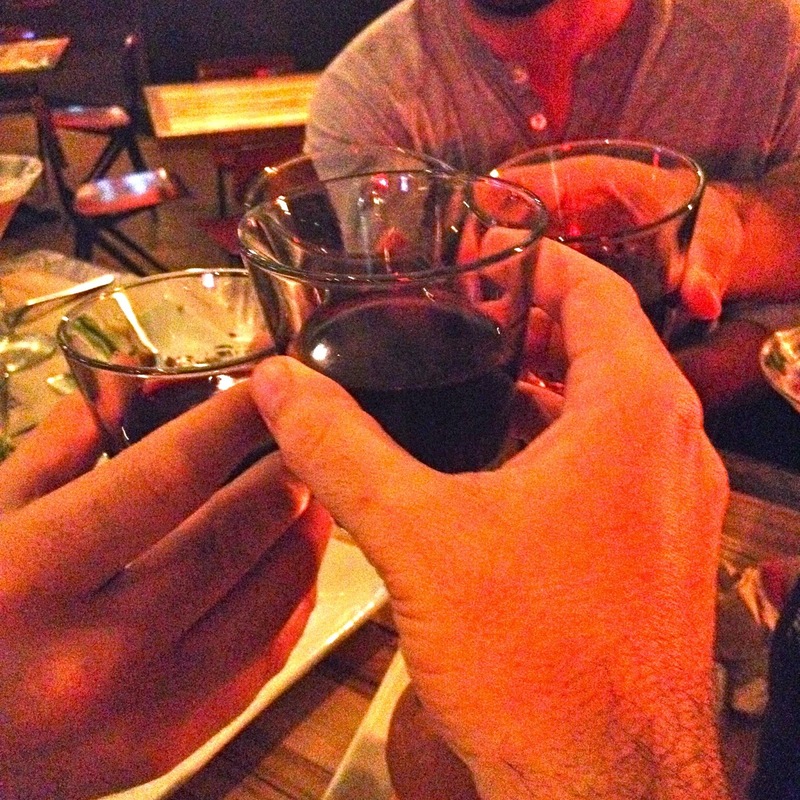 I Am A Survivor of the Umami Burger Nine Course/Nine Drink Tasting Menu. It was a classic playground-style dare. 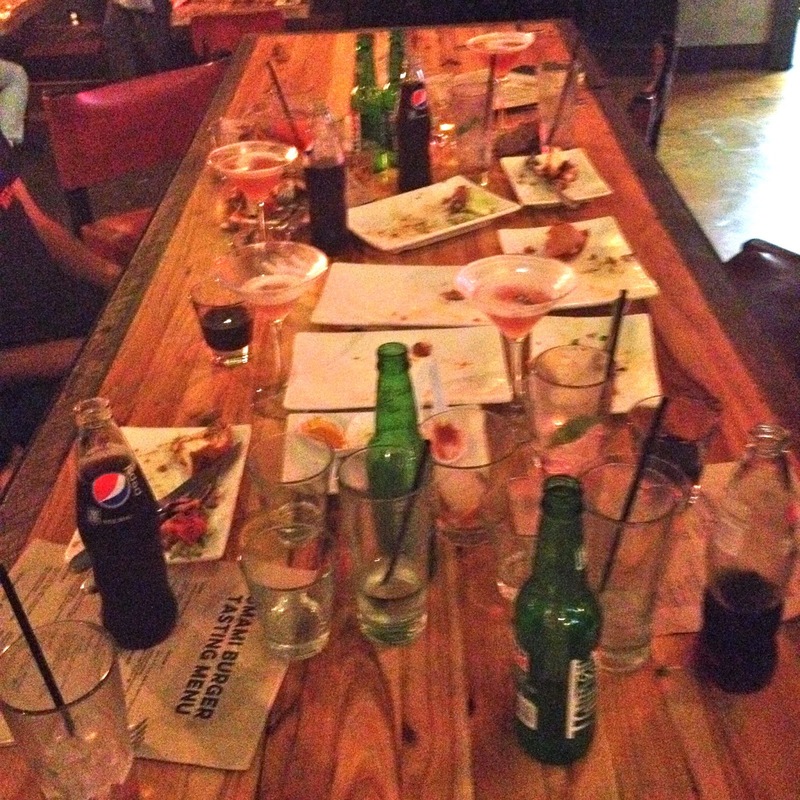 The kind kinsfolk of Umami Burger came right out with the challenge: Hey punk, can you finish our 9-course/9-drink Tasting Menu or what? I really had no choice. As a kid I learned from "The Great Outdoors" to NEVER back down from a dining dare, so... what do you think I said? 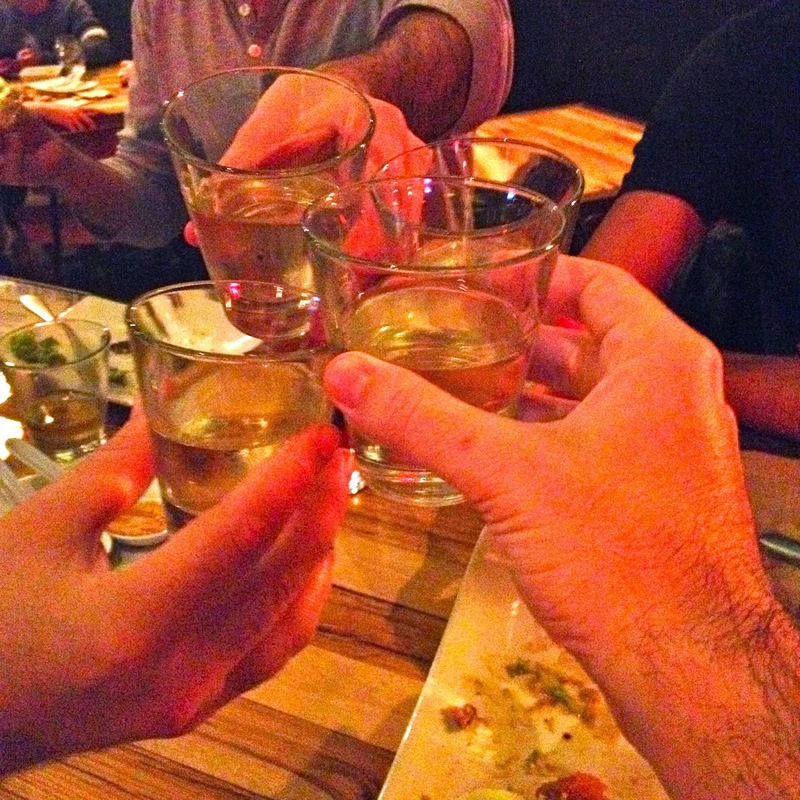 I was told, along with my three brave comrades, no group had successfully finished the entire Tasting Menu yet. Cool, we said. We'll be pioneers then. Just like Neil Armstrong. Is more than two burgers apiece (every course cut into fourths) and NINE drinks apiece in one sitting excessive and ridiculous? Yes. Absolutely. 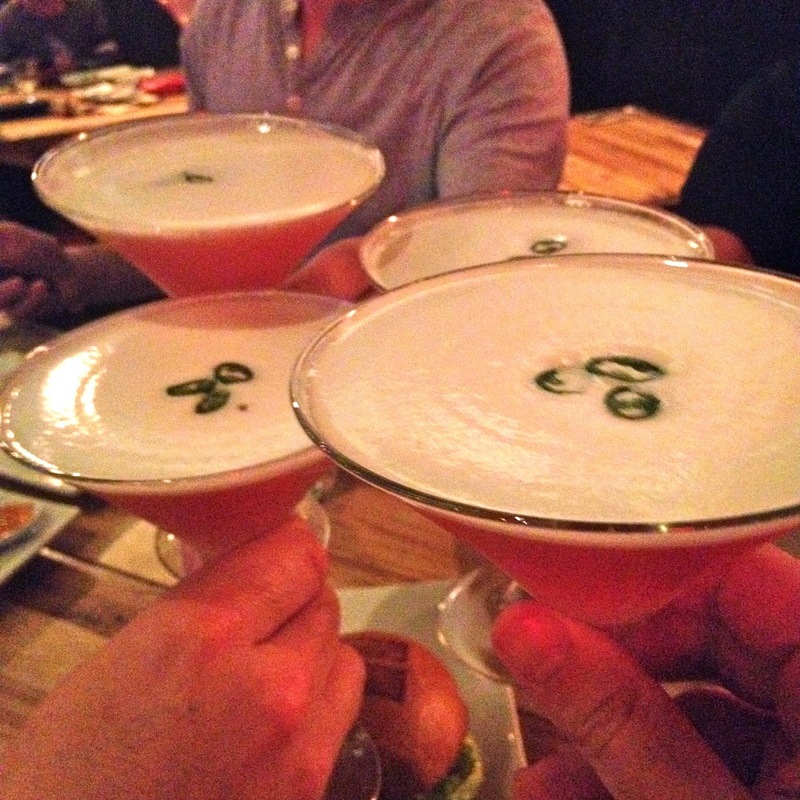 But did we enjoy the heck out of our evening at the downtown Umami? Yes. Absolutely. As you will see from the courses and drinks below, it was a real smattering and re-introduction to the trailblazing nouveau burger joint. I hadn't been in a good long while. Not like they really missed me - there are now 15 Southern California Umamis and another nine nationally. But as the dinner unraveled I quickly was reminded of two things: Umami makes a very solid house-ground, house-packed burger and furthermore, Umami offers the most diverse burger menu in town (beef, turkey, ahi, veggie, etc). Conclusion: it was delicious and WE. DID. IT. 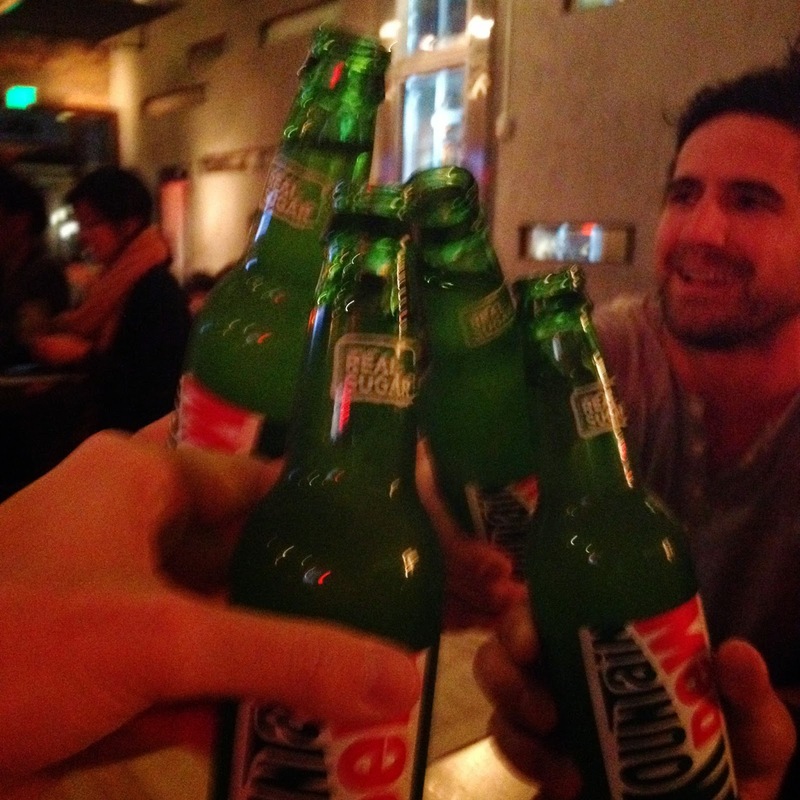 Drink - Real Sugar Mountain Dew. Food - Cheesy Tots, Sweet Potato Fries, Tempura Onion Rings. Thoughts - Always get the Cheesy Tots. ALWAYS. 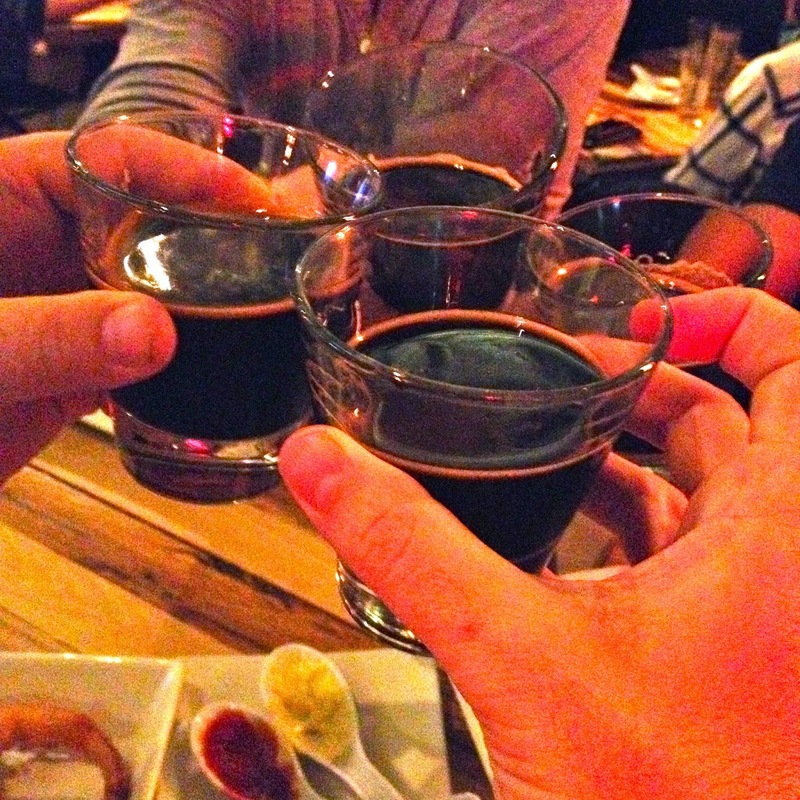 Drink - Great Divide Yeti Imperial Stout (heavy, dark roasted malts). Burger - Truffle Burger (beef patty, housemade truffle fondue, truffle glaze, truffle salt, and truffle aioli). 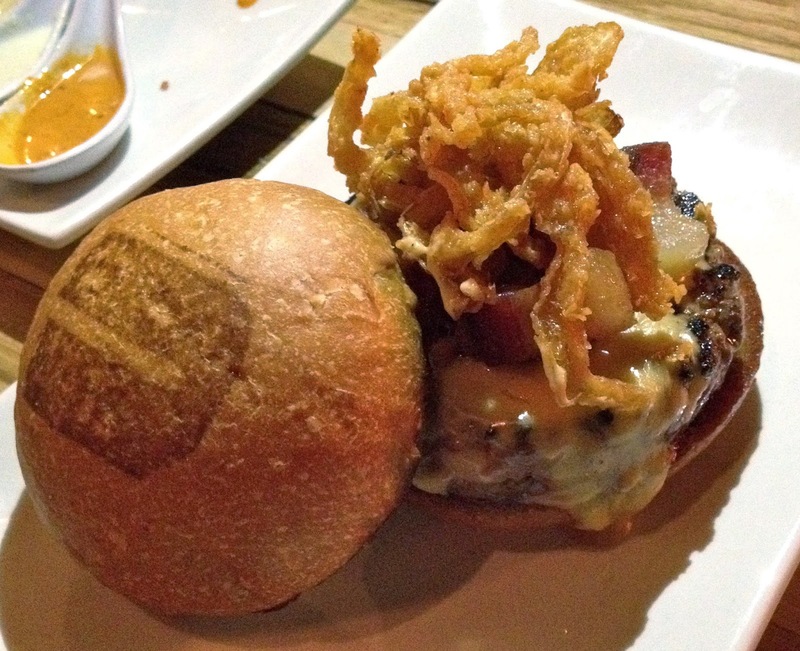 Thoughts - I'm disappointed there weren't enough truffle accoutrements with this burger - is something I did not think. 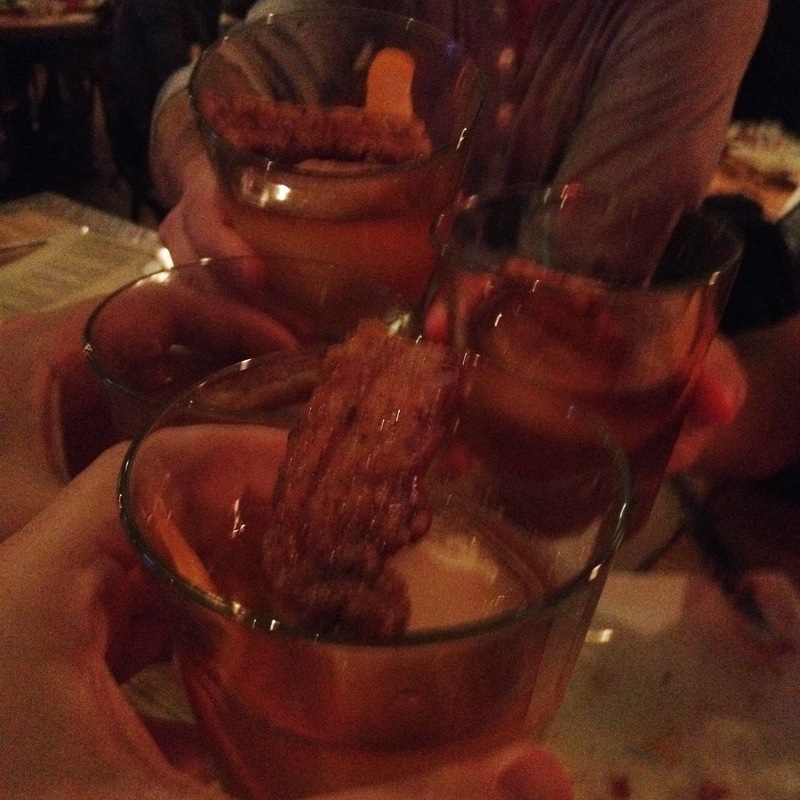 Drink - Maple Bacon Old-Fashioned (bacon-washed Evan Williams, maple syrup, orange bitters, garnished with house-made candied bacon strip). Burger - Manly Burger (beef patty, bacon lardons, beer-cheddar fondue, smoked salt onion strings, Umami ketchup & mustard spread). Thoughts - Most testosterone-fueled tasting menu course of my life. I felt like I was eating/drinking Vin Diesel. 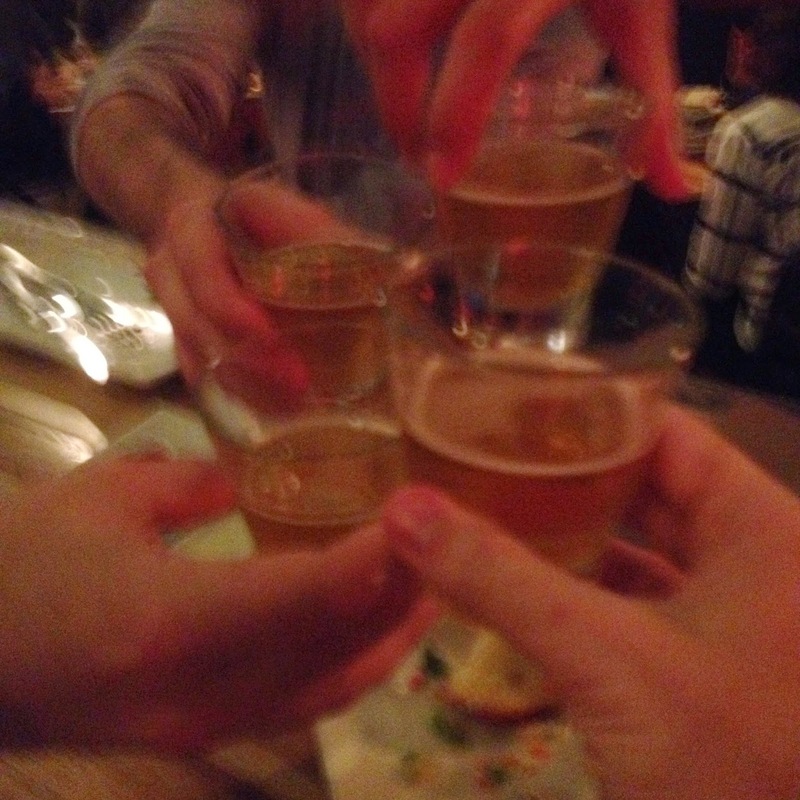 Drink - Victory Golden Monkey (fruity, Belgian-style tripel). Burger - Ahi Tuna Burger (seared ahi patty, daikon sprouts, crushed avocado, gingered carrots, wasabi flake, wasabi tartar). Thoughts - Didn't love the entree was more seared tuna bunched together than seared tuna burger patty. 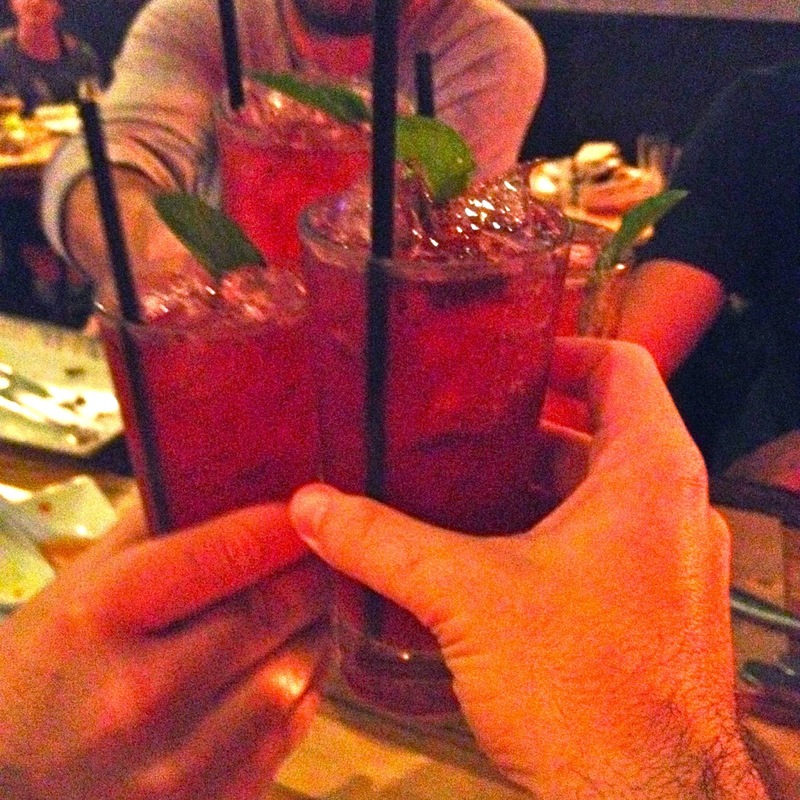 Drink - Blackberry Swizzle (Old Rittenhouse rye, Benedictine, mint, fresh blackberries, lemon, topped with ginger beer). 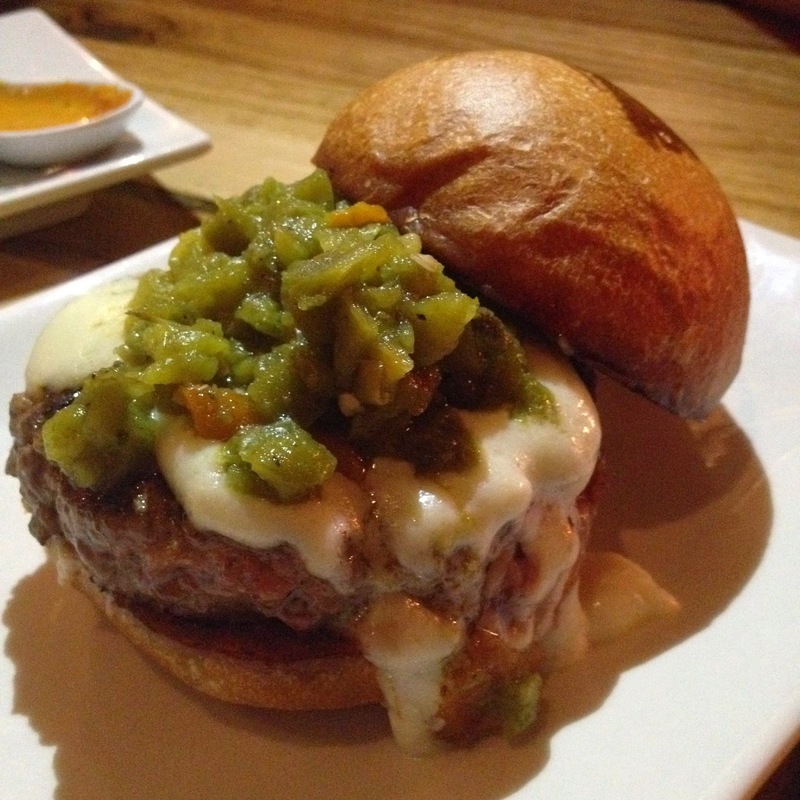 Burger - Hatch Burger (beef patty, roasted hatch chiles, house Cali cheese, roasted garlic aioli). Thoughts - The Blackberry Swizzle is my favorite cocktail of 2015. Bold statement right there. So much so, I've emboldened it. Drink - 2013 Laurenz Gruner Veitliner (fruity and spicy aromas). Burger - Greenbird (turkey patty, crushed avocado, green cheese, butter lettuce, sprouts, green goddess). Thoughts - This was surprisingly my favorite burger of the night. Tons of flavor for a turkey burg. Drink - Spicy Mezcalrita (Lunazul Blanco Tequila, PAMA Pomegranate liqueur infused with cucumber and serrano pepper, fresh juices, topped with Xicaru Mezcal and Cointreau foam). Burger - Cali Burger (beef patty, butter lettuce, roasted tomato, caramelized onions, house spread, house Cali cheese). Thoughts - At this point I was starting to feel delirious and could no longer form culinary opinions. 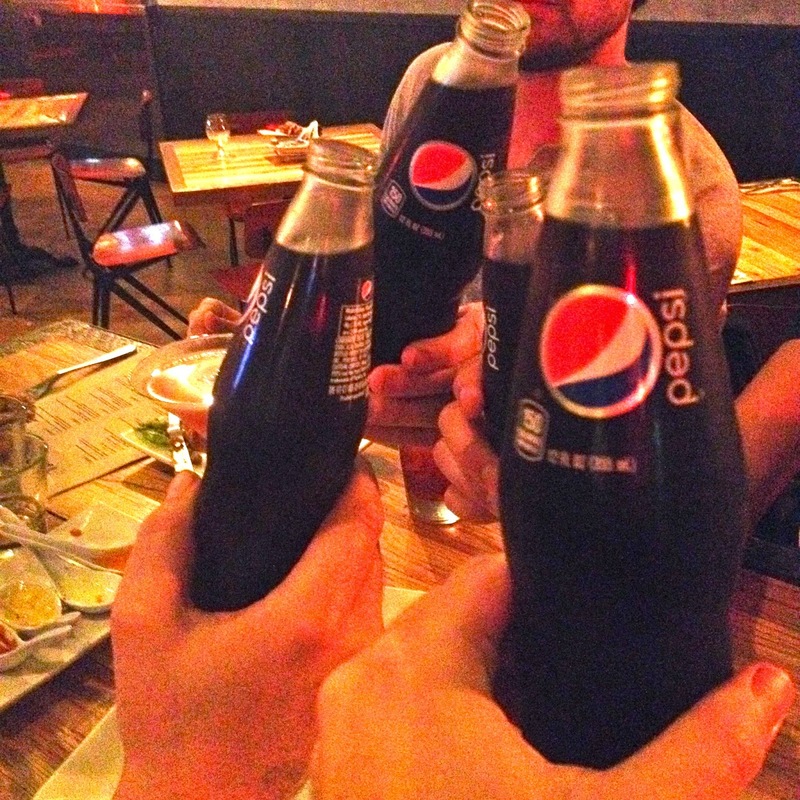 Drink - Real Sugar Pepsi. Burger - Throwback Burger (two 3.5 oz seared beef patties, white cheddar cheese, miso mustard, Umami ketchup, soy pickles, minced onions). Thoughts - These Pepsi bottles reminded me of the "Back To The Future II" Pepsi bottles and since I was completely unhinged and deranged at this point, I could not stop commenting on it. I still can't. Drink - 2013 Seghesio Zinfandel (red cherry aroma, subtle vanilla notes). Burger - Umami Burger (parmesan chip, shiitake mushroom, roasted tomato, caramelized onions, Umami ketchup). Thoughts - It's only fitting to finish this epic battle between man and sustenance with the burger that started it all for Umami, which is still as delicious as ever. AND THEN WE DIDN'T EAT AGAIN FOR TWO WEEKS.